Exercise can be a fraught topic for a lot of us when we haven't been active in a while (or ever), and often the hardest part is figuring out where to start. It can also be difficult if you're looking for books and videos that are focused more on how your body feels than on how it looks. Resources that highlight the more fun and functional benefits of exercise, such as flexibility, endurance, teamwork, strength, body awareness, or simply the pleasure of finding an activity you love to do, seem like a relatively small section of what's available. Thankfully, though, we've seen more and more body positive resources coming out lately that promote learning about and celebrating what your body can do in an enjoyable and shame-free way. So, if you're looking to start moving and need resources that are encouraging and motivating, check out the following titles! While there are a handful of books that are great for helping you figure out where and how to begin, the one that I have to highlight is Big Fit Girl. It's an excellent starting place for people who want to be inspired to think differently about themselves and what they can accomplish. 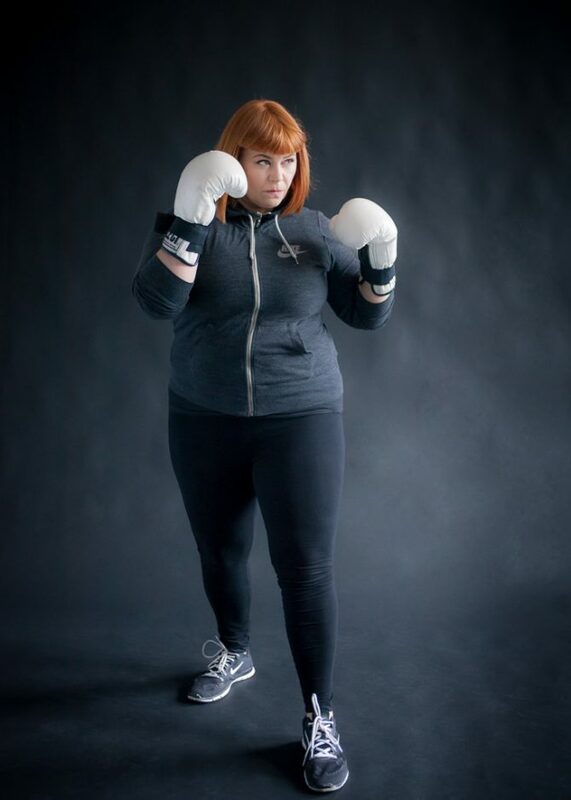 While it's ostensibly for plus size women, I think this would be great for anyone who has ever felt out of place in the fitness world, and I appreciate how it aims to normalize fitness for people of all body types and expand society's view of what an athlete is. Big Fit Girl also gives some really easy but concrete action items, lots of good resources, and helpful strategies for changing patterns that keep us from getting and staying active. I got so much more out of this book than I was expecting to! Yoga often comes up when you're looking for body positive activities, and there have been a number of books and videos that have come out recently that are aimed at bodies of all shapes and sizes and ability levels. Two books that I've found most helpful, though, are Every Body Yoga and Yoga XXL. 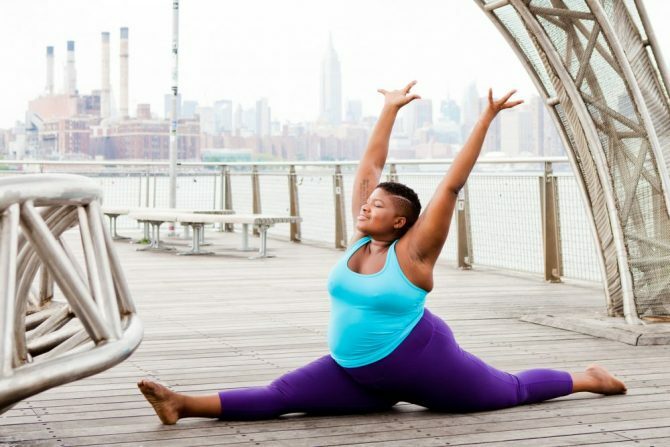 Every Body Yoga is written by yoga teacher and body positivity advocate Jessamyn Stanley, whose pictures on Instagram have made me reevaluate what's possible for bodies that look like mine. I particularly appreciate Stanley's funny, irreverent tone, and reading about her whole relatable journey. The full-color pictures that show a variety of bodies doing the various movements are also helpful and pretty darn life-affirming. Yoga XXL is a bit more to-the-point even though it has an almost encyclopedic collection of plus size-friendly moves and modifications. It would be great for people who want something that is quietly body positive but don't care to read about the author's journey to body acceptance. This is a super a straightforward place to just jump right in! Run Forever won me over from the beginning: "My first long-distance run was one of my worst. Maybe THE worst ever. It came as a form of punishment. Too many runners get their start this way. It's all wrong. 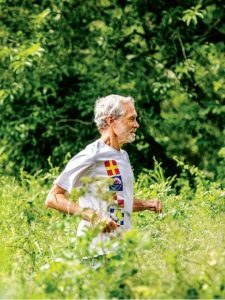 Indeed, it's no doubt the main reason so many stop running: an initial, painful introduction to the sport. I hope you'll find a different way." When so many fitness books talk in extremes (intense weight loss, "shredding" of various body parts), it's nice to see a book that's simply concerned with the joy of running. This book is thorough but accessible and isn't too overwhelming for beginners. If you're looking for something a little more slow-paced, though, Walking: The Complete Book is a warm and encouraging manual. Getting active can be easier when it's in the form of a fun outdoor activity with family and friends! 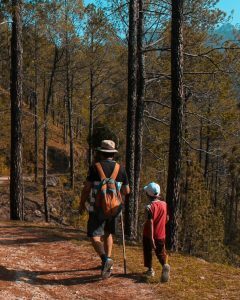 Best Hikes With Kids: Western Washington has a lot of practical advice for hiking with the kiddos, and it's arranged nicely by location, but also by categories like "Best Hikes for Strollers and Little Legs" and—my favorite— "Best Hikes to Hug Really Big Trees." The Creaky Knees Guide says that it's for the "baby boomer who likes to walk but not too much, this day-hiking guide is filled with kinder, gentler trails throughout Washington State," but this would definitely work for anyone who wants to get hiking outdoors but isn't ready for intense inclines or intimidating lengths— count me in! There is a whole section of exercise materials focused on seated exercises for seniors and people with limited mobility, but Sit and Be Fit is one of the most famous and long-running series, having been a public access show since 1987. The host is cheery (in a non-annoying way) and encouraging, and I love how it always features a group of everyday folks following along with her as she performs the exercises.